Mark documents, diaries, textbooks with the range of coloured page markers. Ideal for quick visual reference with large area to write messages. Removable and repositionable. Available in variety of colours, in pop-up or standard pad. 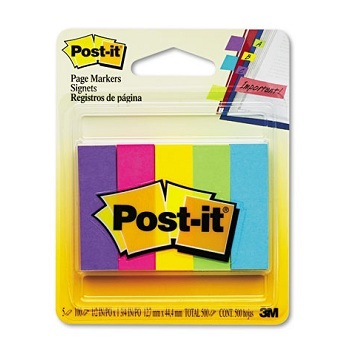 Page markers for marking and colour coding in tight places - Bright pagemarkers attract attention. 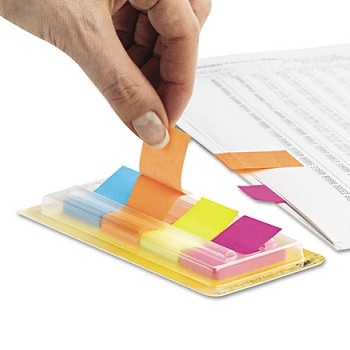 Ideal for tabbing, indexing or marking pages, documents, files, catalogues and more! Ultra Colours self-adhesive, removable and repositionable page markers. 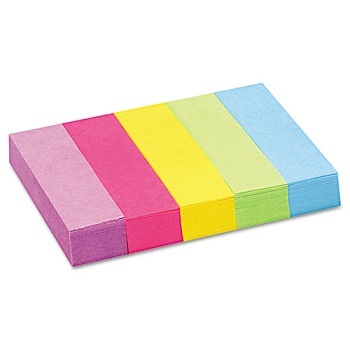 Pack of 5 x 100-sheet pads of Bright Purple, Hot Pink, Canary Yellow, Grass Green and Bright Blue. Neon Colours self-adhesive, removable and repositionable page markers. 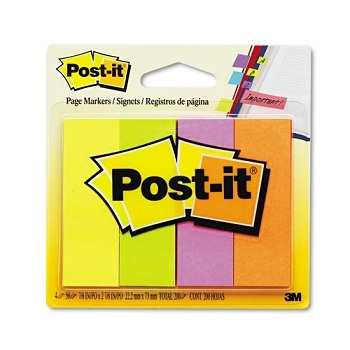 Pack of 4 x 100-sheet pads of Yellow, Orange, Pink and Lime. Pack of 4 x 100-sheet pads of Bright Purple, Hot Pink, Canary Yellow and Bright Blue. 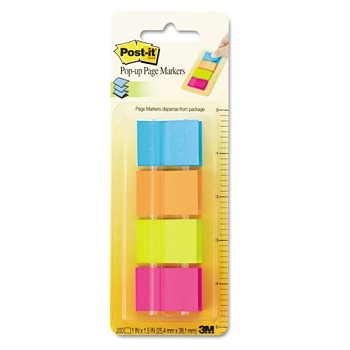 Pop-up page markers make it simple to mark, flag or highlight important information or colour-code projects. Stick securely and remove cleanly without document damage. 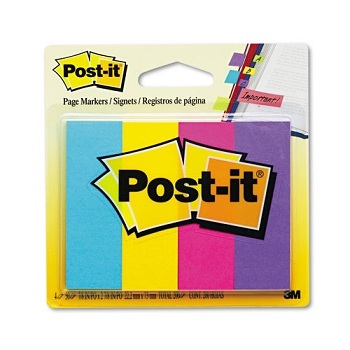 Colorful, self-adhesive markers are easy to spot and easy to write on. Pack of 4 x 50-sheet pads of Blue, Orange, Lime and Bright Pink.